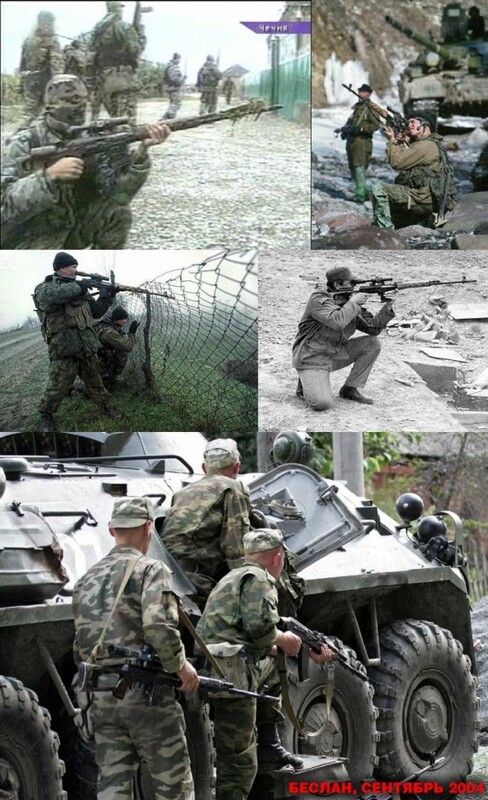 Until the beginning of 1960’s Russian Army was armed with the rifle of Mosin that was adapted to the adjustment of sight and also it had some other enhancements though it less influenced hits accuracy. So a bit after it, Russian War Department intended to replace already overworn and played-out weapon onto something new and more hard-hitting. And then some man under the name of Evgeniy Dragunov was chosen to reconstruct the old rifle and make something new and cool of it. 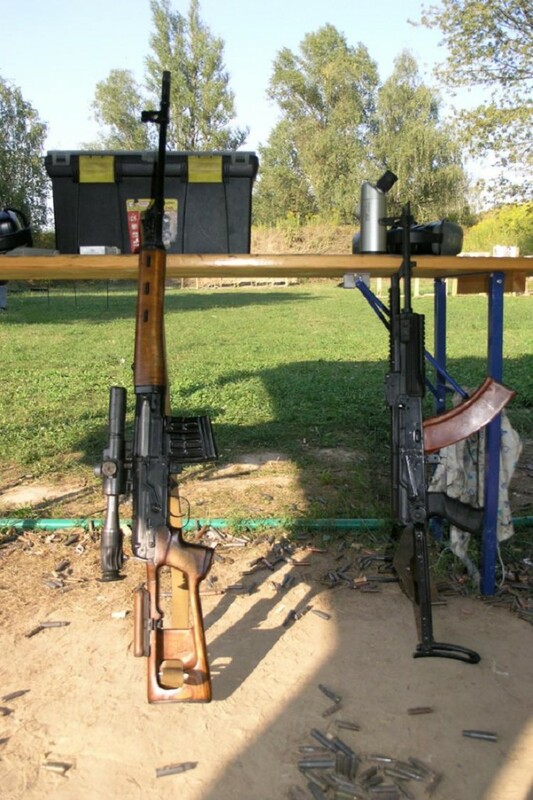 After the comparative trials in 1963, this Dragunov specimen SVD (that’s how it’s called in Russian, acronym) was included in the inventory of Russian Army and it had lots of sniper rifle in it as well as it met all the usual, military requirements. SVD has a good density of hits – at the point-blank (1000 meters long or 3100 feet) standard deviation was something round 560 mm (2 inch) which is ok when hitting full-length figure target. 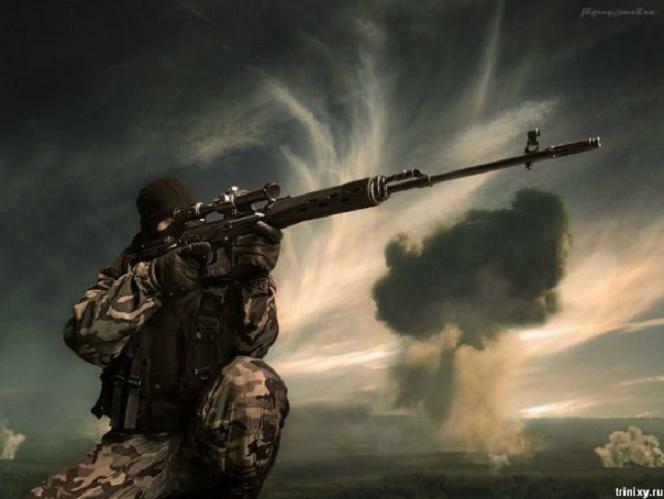 The most effective fire is over a distance of 800 meters though almost everything’s depends on the sniper itself, his brain and his hands. The rifle saw extensive combat over a period of almost 60 years, and it proved itself well. 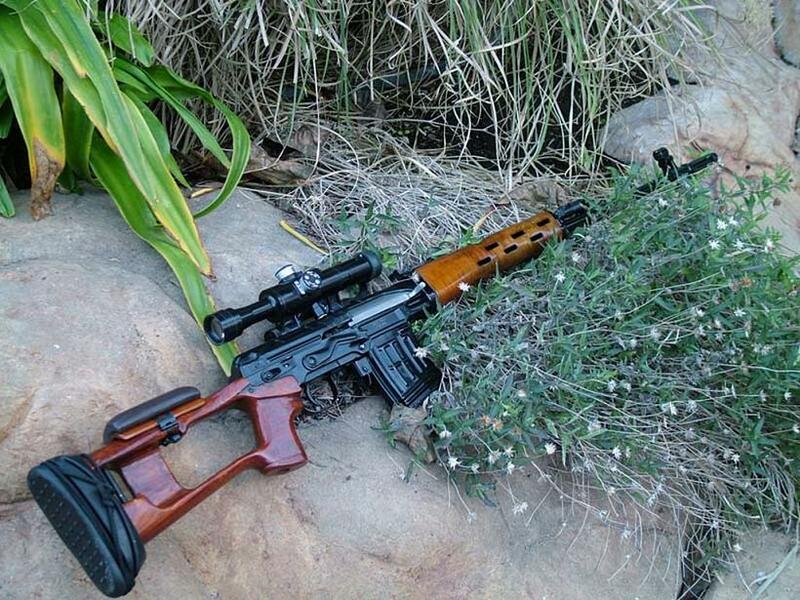 Some people say that the rifle bears resemblance to AK-47, and maybe they are right. Well, made in Russia. the words in the last picture – “i love you”. 560mm ain’t 2in exactly, either. the gun was included in max payne 2 too, afair. R means it is a rimmed cartridge. Not many such around today. would love to shoot whit it! Technically a marksman rifle like the American modified M14 rather than a true sniper rifle. President Medvedev wants to buy british sniper rifles for russian army. Your mother was, and is. Gonna have to call BS on the notion of the Russians planning to import British rifles. The Russians have a number of newer sniper rifle designs of their own, furthermore, it is extremely unlikely they’d be ok with issuing a non-Russian weapon to their military in any significant numbers, if any at all. Importing Western-made rifles would cost more than producing their own, and would get the Russians a product that’s likely less rugged, durable, and reliable. What has your f_ckin’ country made anywhere close to SVD? ESTONIAN GO FOCK YOURSELF ANTI-RUSSIAN PARASITE! The thing is you dumb fuk, they are not useless and there is a large number of people in the civilized World who do care and are interested in them! Yes this is an excellent gun. 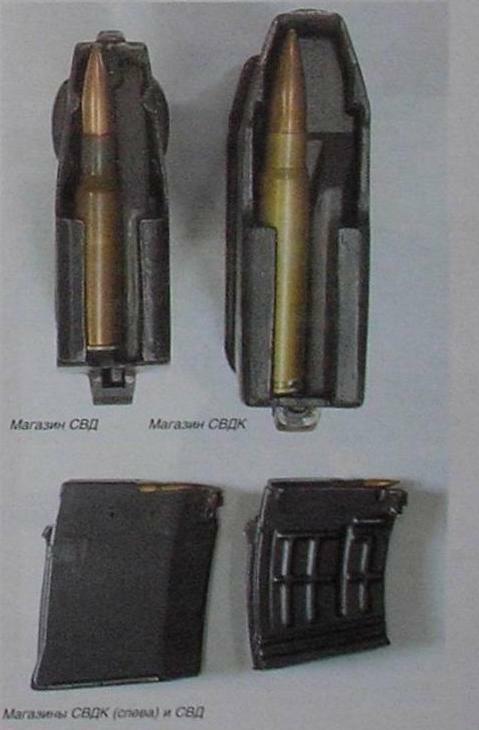 7.62 is the calibre of the bullet, 54 is the length of the cartridge, and R stands for “Rimmed”. I believe 7.62x54R and British .303 are the last remaining full power rimmed rifle cartridges in use for military applications. I’m no expert on guns and rifles. I’ve only shot with a M1, M16 and mini14(I loves the mini14). I have more experience with handguns. And I don’t care if the SVD is obsolete or not. I would still like to try shooting it sometime. 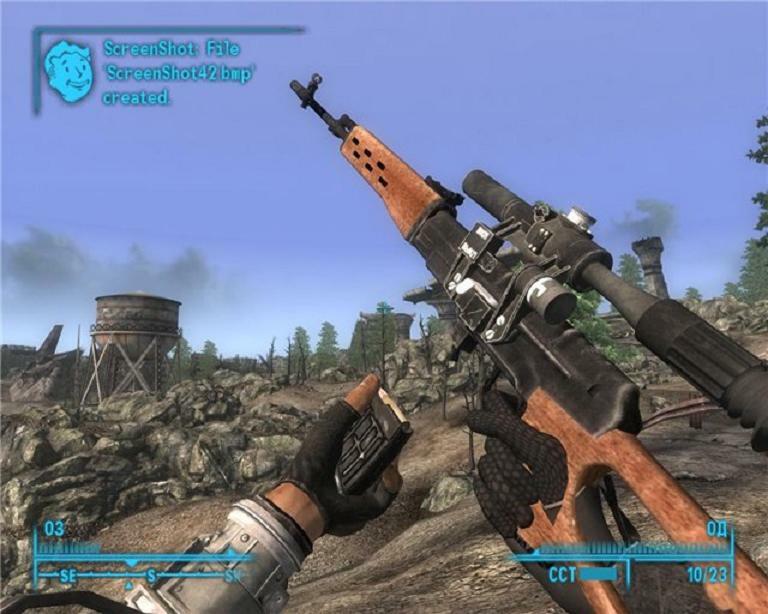 It’s a cool looking rifle! Apparently the SVD has a large number of fans who have experience shooting it! Maybe the name Simo Häyhä is what is driving this incredible Russian inferiority complex, and desperation for a high tech solution to their incredible lack of military proficiency? This one Finn sniper with basically a “slingshot” singlehandedly sent the Russian Army home, defeated, with tail between legs, and crying for Mommie! Wha! Wha! Whaaaaaaaaaaaaa! The one thing the Soviets did well was making reliable weapons systems. 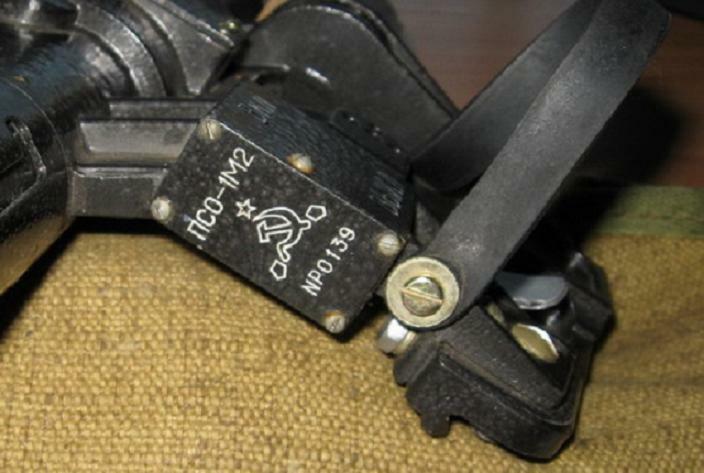 There is good reason why the AK-47 became such a successful and copied design and not the American M-16. Russian weapons are far better suited to sustained use under limited maintenance in combat than their western counterparts. They are also built to be simple and easy for the average soldier to maintain. Yes, we Americans tend to make better high tech weapons, but that is not always an advantage over the sheer numbers of Russian weapons that can be deployed on the battlefield. Many times war is a numbers game and the side with the numbers on their side wins. 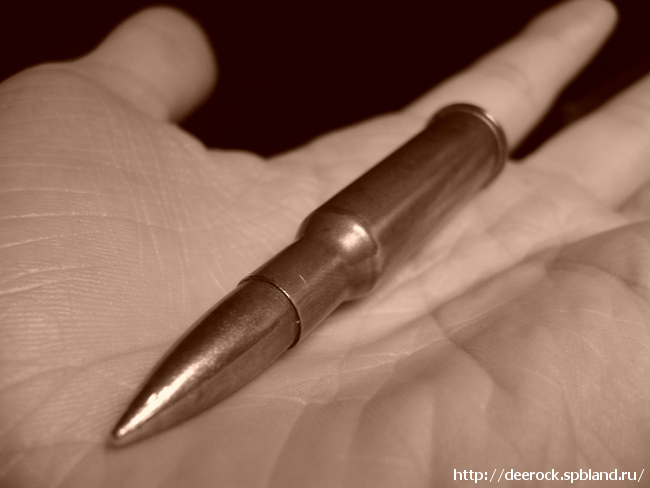 As for this weapon, it may be an older design but that does not make the bullets it fires any less deadly when they hit their target. If it is a bit outmoded, the Russians are probably working on a new design of their own to replace it in the near future. 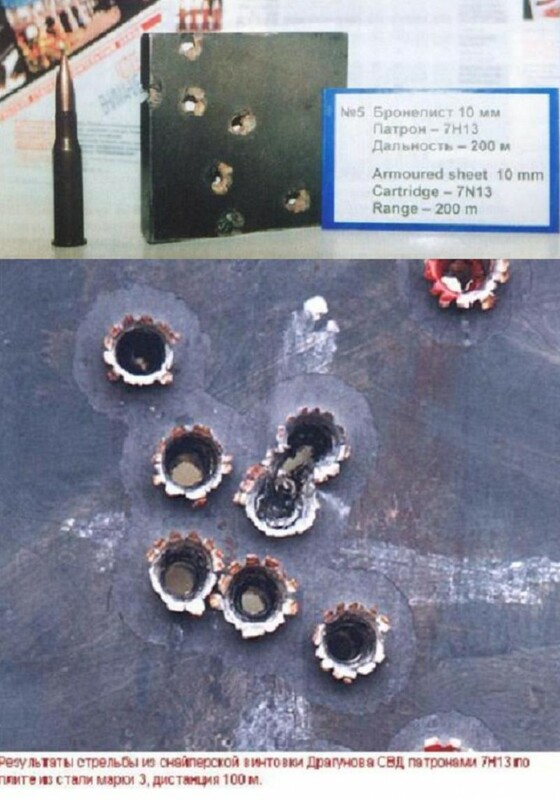 This is small arms manufacturing, something they are very good at. I can see no reason that they would outsource weapons from a nation that is not always on their side. Damn, you are eloquent Jim-Bob! I love reading your comments! What ASStonia is proud of??? 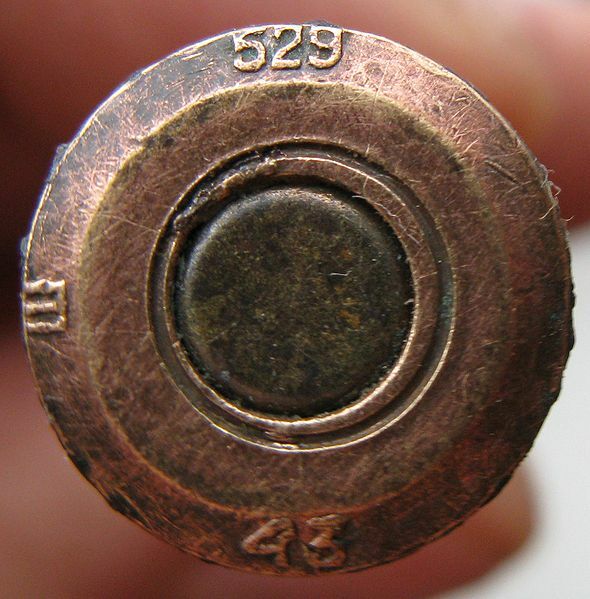 this means that the bullet caliber is 7,62mm and casing lenght is 54mm (empty), R stands for “RIMMED”, it means it has bullet base wider than case body. 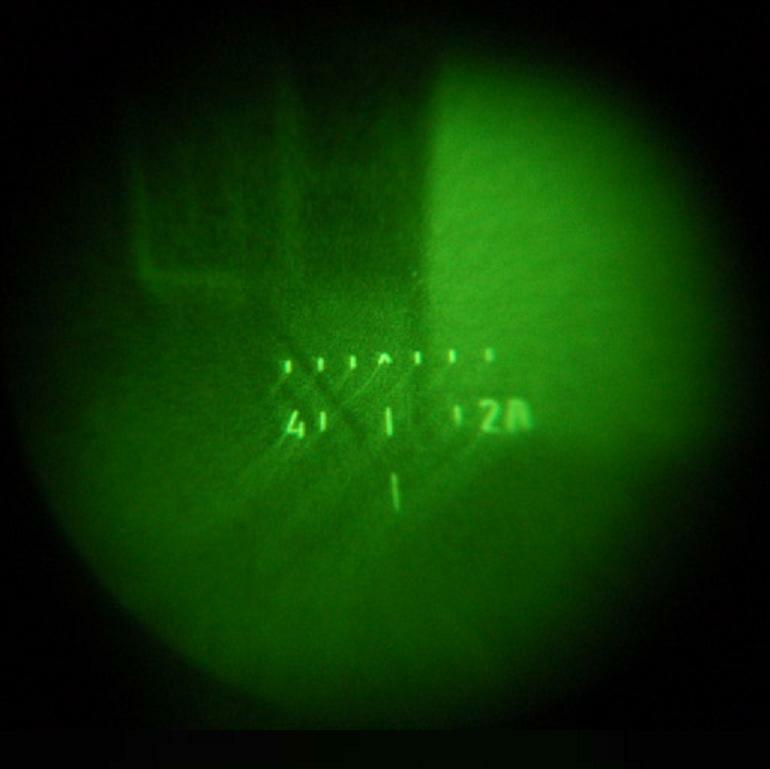 7.62x54r is a pretty amazing caliber , it’s been in use for well over 100 years, and could quite possibly be in use another 100 years due to just how cheap and effective it is. 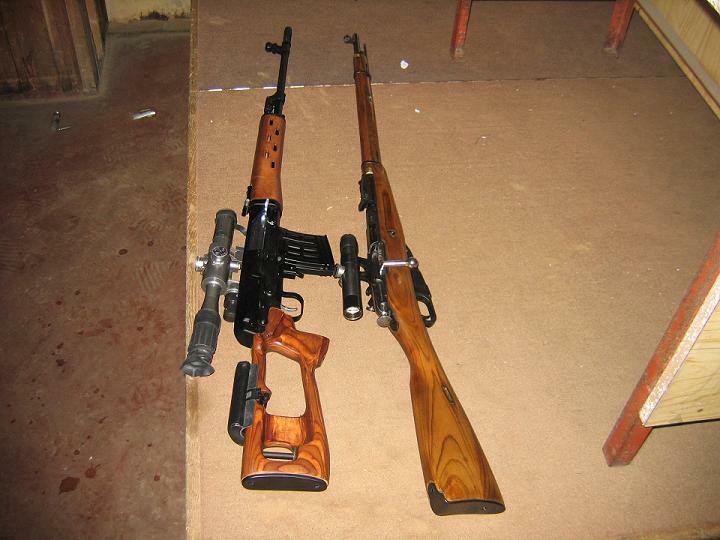 Having said that , the SVD serves its purpose – a extended range rifle. HOWEVER it is not a ‘sniper’ rifle as much as the m24 or m25 rifle is for the US army (Russia has several bolt action rifles to take this spot). The US just started to introduce DMRs and m14 rebuilds to sort of fill the role the SVD has been fulfilling for quite some time. Having said this , I’d like to see someone make a 1000m shot with a SVD , it’s going to be nearly impossible unless you have a very very good SVD and amazing ammo. Oh my God, copy-paste technology… I’ve served in estonian military and worked in our horrendous Peace Operations Center (www.rok.ee) for years. What do we have there? Copy-paste of everything from Finland, Sweden, Norway, Denmark. Everything, everything, everything… Because we can’t do anything on our own. Who did a design for estonian money – Estonians?!? Hahaha… Who did the design of the country flag? …arms? …hymn? Capitol – Tallinn (Taani linn = Danish town). Should I continue? Could you point me at anything in my homecountry not copy-pasted from others/made by ourselfs? Besides we can’t even copy it properly. Luckly I’m not leaving in this Nazzi country anymore. And just think twice before you critisize someone. The SVD is not, and has never been intended to be a true sniper rifle. The only thing it was ever designed to do, is a DMR. Thus the short stroke piston design, the mass of moving parts, and the flimsy barrel and reciever. 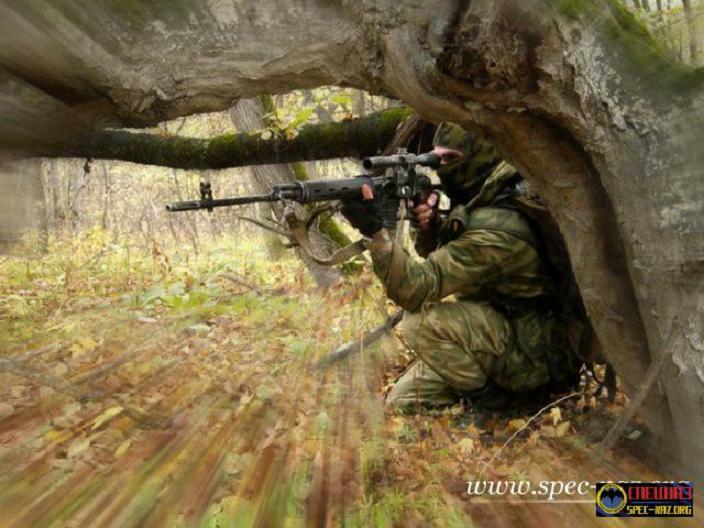 Being designed as a DMR, the SVD excells in that role, it is just GREAT! It is an excelent hunting weapon too. 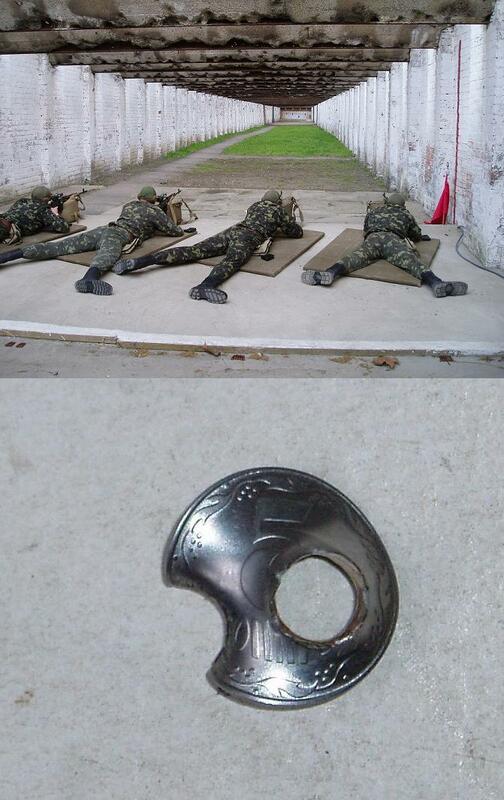 But the only reason true snipers in the russian army would use it, is for lack of a designated sniper rifle. They have such now, specially designed bolt action rifles, with heavy barrels, and therefore the Dragunov is gradually being pushed strictly into a DMR role. Oh – and there is another common missconception: Originally the “S” in SVD did not mean “Snaiperskaya”. It meant “Samozaryadnaya” – SELFLOADING that is 😉 The Selfloading Rifle of Dragunov. Which coupled with the ever present iron sights simply confirmes the SVD was never originally designed to be used as a pure sniper rifle. The Dragunov. Best looking sniper rifle. I must disagree with the author – the Mosin 91/30 PU sniper was and is surely not worn out,Some could argue that it performs better than the SVD with its bolt action providing better accuracy. 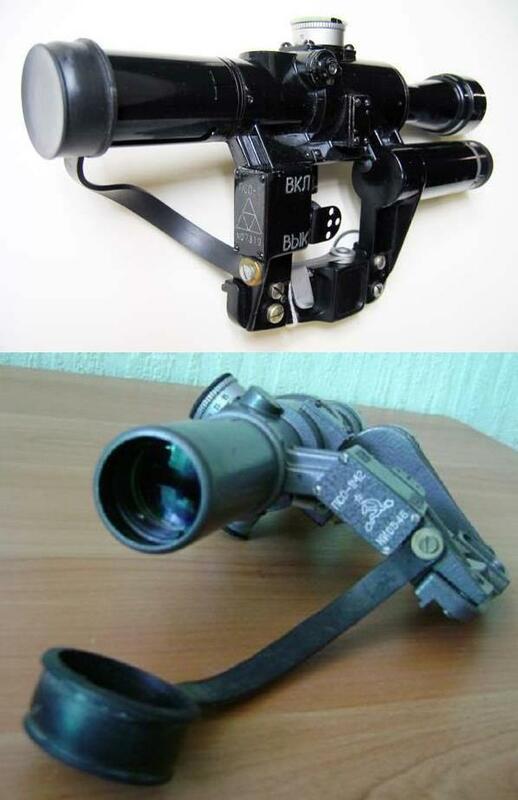 I know first hand – My cousin used M91/30 with PU scope in Grozny – it proved accurate to about 800-900 yards,although he said most engagements were at 300 to 500 yards. 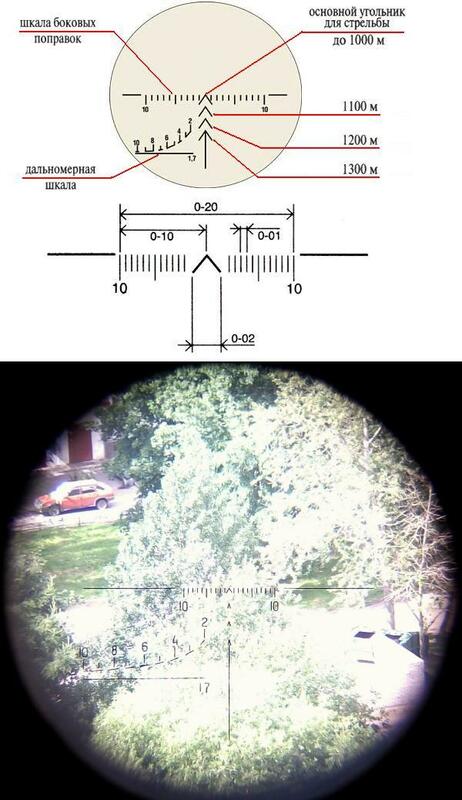 Russian snipers still use M91/30 with both PU and PEM scope. i love to play Max Payne all day long, it has lots of action in it.,`. 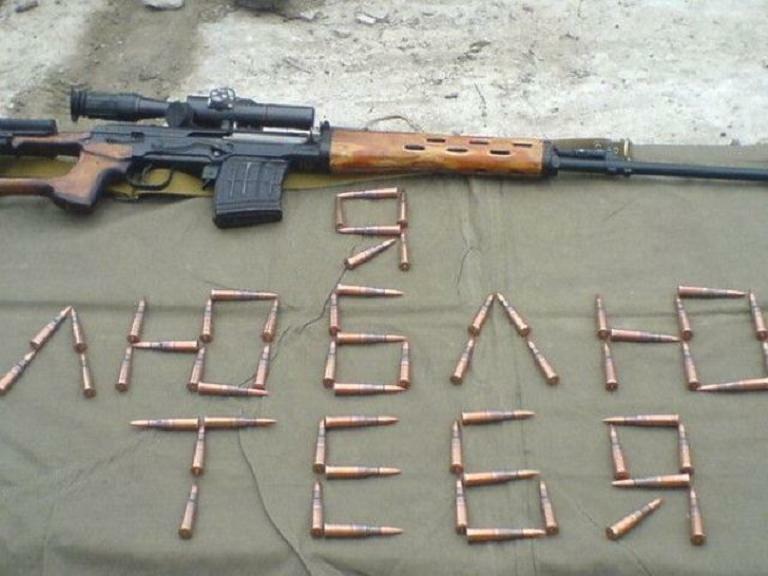 A Russian Far Cry 2 screenshot instead of a Ukranian Stalker screenshot!! This is an outrage!! !